In the 12 months leading up to March 2018, 65 countries around the world reported 53,000 cybersecurity incidents and 2,216 data breaches. This begs the question: how many data breaches are yet to come? While nobody can predict the future, some cybersecurity experts believe 2019 will see even more threats. And on a much larger scale. This doesn’t bode well for Ireland, which saw its fair share of cybersecurity breaches in 2018. These included the hijacking of dozens of public service websites. All told, cybercrime costs Irish businesses an estimated €630 million a year. As an online business owner, this leaves you in a vulnerable position. Fortunately, knowledge remains your best weapon. Let’s a take a look at the threats you face and the cybersecurity news sites that can help you protect your digital enterprise. Twelve and a half per cent of retailers have faced cybersecurity attacks over the past year. Yet, only about 46 per cent of retailers has a solid online security structure in place. Customers expect businesses to protect their financial and personal information from attacks. When this expectation gets disappointed, these businesses stand to lose loads of customers and money. After all, no company crafts a product so unique that it doesn’t face competition. And if your company becomes the victim of a widespread breach of information, customers will look elsewhere to make future purchases. Company and customer data remain among your most important resources. Protecting this information requires staying abreast of the latest computer security news. Ireland (and the rest of the world, for that matter) face a new onslaught of threats from cybercrime. Fortunately, Ireland continues to lead when it comes to cybersecurity developments. Ireland produces some of the world’s best cybersecurity engineers. It also simultaneously attracts talent from all over the world. But threats remain, and they prove diverse and, in some cases, exceedingly well-organized. How do you navigate this fast-changing world of crime, espionage, and security threats? 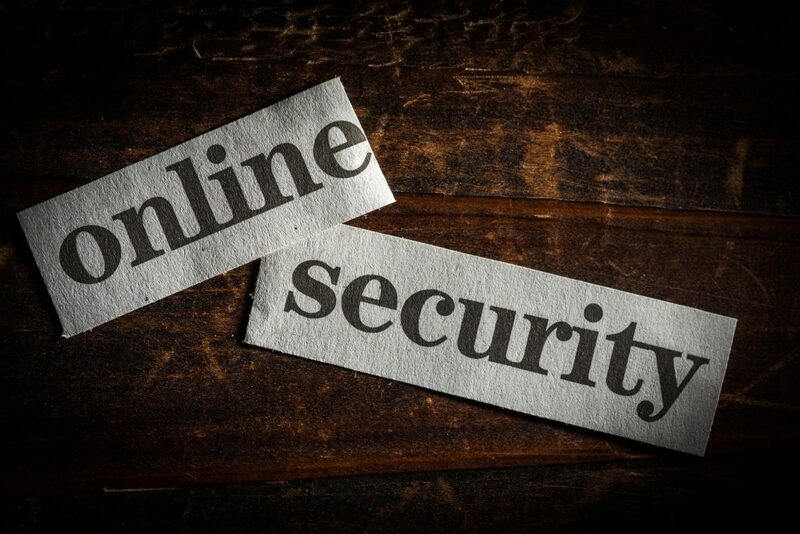 How do you protect your small business website? These 10 cybersecurity news sites will help you get started. The magazine includes detailed data about cybercrime damage costs, cybersecurity employment, and cybersecurity spending. There’s no better place to get the latest news from the frontlines of the battle against cybercrime. Just more reasons to read this publication. Written by Stu Sjouwerman, veteran IT security editor, Cyberheist News will keep you up-to-date on the latest cybercrime strategies in use. This weekly e-zine will also keep you posted about social engineering scams and ransomware attacks. It’s a must-read for business owners who want to stay on the cutting edge of cyber heist schemes and cybercrime’s latest trends. It will provide you with the tools you need to keep your company safe. This includes information your employees need to avoid threats such as phishing strategies that can impact your entire network. Published by Reed Exhibitions, Infosecurity Magazine focuses on the trifecta of strategy, insight, and technology to help you protect your business from cybersecurity threats. The magazine also hosts regular webinars that you’ll want to check out. These provide informative, easy-to-follow advice about forensic investigations, detecting insider threats, and a variety of other computer security topics. Besides its online edition, Infosecurity Magazine also comes in a print edition. Don’t forget to check out their wide offering of white papers, virtual conferences, and free webinars, too. Since 1998, Help Net Security has existed at the forefront of the information security frontier. They feature an expert panel of security analysts who not only monitor current threats but make predictions about what the future holds. They continue to monitor how artificial intelligence (AI) will impact cybersecurity problems as well as make predictions about how vaporworms will disrupt economies in 2019. Vaporworms refer to a new breed of self-propagating, wormlike malware threats that are fileless. Fileless malware poses significant problems to cybersecurity because it proves more difficult to detect. If you want to stay ahead of the latest trends, add Help Net Security to your regular reading list. Although it covers many of the same stories as other magazines on this list, you’ll appreciate the depth of reporting. The site’s writers also regularly uncover stories that other news organizations on this list miss. If any online magazine is going to get the story behind the story, it’s Help Net Security. Published by UBM, Dark Reading remains a favourite website for many cybersecurity professionals. And for good reason. Because of their reputation for timely reporting, decision-makers and security staffers visit the site to learn about the latest vulnerabilities and threats in the tech-verse. A popular computer and technology magazine in its own right, PC World covers the latest tech and computer news, from smartphones to laptops to productivity software. They also provide readers with plenty of educational resources when it comes to cybersecurity threats and the best ways to combat them. From detailed articles to how-to videos, the information is presented in an easy-to-follow manner. What’s more, topics go beyond security to cover a variety of tech-related business news, too. Published by Wired Business Media, Security Week covers issues ranging from cybercrime to malware threats and security architecture. They boast a wide variety of cyber experts who write regularly on the topics that matter most to small business owners. These include topics related to risk and compliance from an entrepreneurial perspective such as how to foster a culture of compliance. Threat Post digs deep into cyber issues, covering security from every possible angle. Besides a rich collection of informative articles, they also regularly post podcasts and webinars. That way, you’ll always stay well-informed about online security threats. What’s more, there’s nothing like the convenience of listening to podcasts or webinars while travelling to and from work. One of Threat Post’s major predictions for 2019? The rise of swarm-based intelligence and technologies. Swarm-based technology relies on the natural swarm behaviours of organisms to control nano-robot clusters. Unfortunately, swarm technology increases attack potential in a variety of ways. Add Threat Post to your web browser favourites and sign up for their newsletter to maximize your knowledge and minimize new cyber threats to your business. Like some of the other digital magazines on this list, Paul’s Security Weekly offers fast-breaking news from the digital security world. But it goes even further by providing readers with frequent webcasts and three IT security shows — Hack Naked TV, Enterprise Security, and Paul’s Security Weekly. Made available on a variety of platforms including YouTube, Google Play, and iTunes, incorporate these programs as a regular part of your weekly watching habits. That way, the next security breach won’t catch you unaware. A daily news digest, IT Security Guru takes its role of providing you with fast-breaking online security news seriously. They boast a huge collection of resources from case studies to articles, videos, webinars, and more. They also feature a weekly section on the “scam of the week” where they deconstruct the latest hacker threats and what you can do to avoid them. If you’re ready to get serious about cybercrime prevention, IT Security Guru represents an essential component of your security arsenal. From how-tos for small businesses adopting encryption to information about crypto mining, IT Security Guru has the news you need to avoid security threats. The risks that Ireland and other countries now face from cybercrime represent huge challenges for entrepreneurs in 2019. Besides the dozens of public service websites hijacked in Ireland in 2018, other nations continue to suffer, too. Even scarier, according to the United States and the United Kingdom, these attacks originated in the rogue nation of North Korea. That said, the WannaCry ransomware crisis also revealed poor security protocol and out-of-date measures pervasive at hijacked organizations and corporations. Nowhere was this better illustrated than by the vulnerabilities left unaddressed at the National Health Service (NHS) of the UK. The NHS ignored numerous warnings including those from the Department of Health and Cabinet Office prior to the attack. Besides these massive organizations, the ransomware attack also affected people across 150 countries impacting more than 300,000 computers. These attacks demonstrate the importance of remaining proactive to avoid online risks and vulnerabilities. The news proves constantly peppered with the names of companies and organizations that have fallen victim to cyber attacks. What’s more, the frequency and sophistication of attacks continue to rise. An information leak can undermine the trust customers have placed in your business. They can lead to thousands of Euros-worth of damages. That means taking every precaution possible to protect your company’s data. Sure, antivirus software proves a start, but it’s no longer a be-all, end-all. You also need SaaS Security, bot protection, network security, and more. And don’t forget website security tools such as Sitelock that run on the Cloud. You should also be careful about the information that you choose to store. Above all, never store your customers’ credit card information. Why? Because it remains the number one target for hackers and cybercriminals. Even with all of these protections and more, you must acknowledge the fact that cybercriminals never rest. They’re constantly devising new ways to get at your data. One of the best ways to protect your online enterprise remains reading up on the latest news coming out of the cybersecurity world. Because of informative news outlets such as Infosecurity Magazine and Dark Reading, you also have the option of listening to podcasts and webinars and watching slideshows. When you take digital security seriously and invest in understanding the latest threats and how to protect your online assets, you give your company a clear advantage. Learn from the example of organizations such as the United Kingdom’s NHS to never take internet security lightly. You won’t get a second chance when it comes to protecting your data and your company’s future. Now that you better understand the high stakes when it comes to online security, make the ten cybersecurity news sites above daily reading. They’ll help you stay in the know when it comes to cybercrime’s next trends. Interested in learning more about online security? Especially as it relates to web hosting in Ireland? Contact us today to discuss hosting plans and security for your small business website.